We bring you a smart looking black cropped bomber jacket from the house of Ruben Galarreta. The shorter length, tight fit, and tight waist set this bomber jacket apart from the others you see. It comes in three sizes – small, medium and large. 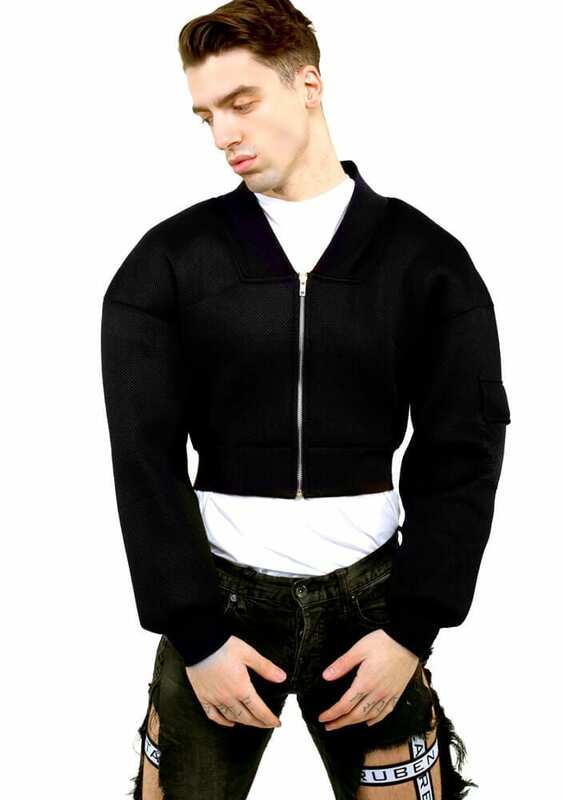 The new Black cropped bomber jacket is a must have in your closet. 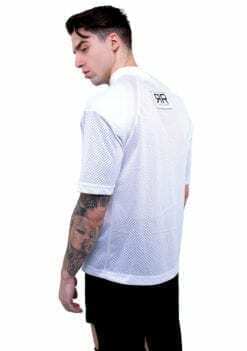 The model in the picture is wearing size M.
Many decades back, when the first fighter pilots went up in the skies to defend their country, they encountered very low temperatures at those high altitudes. 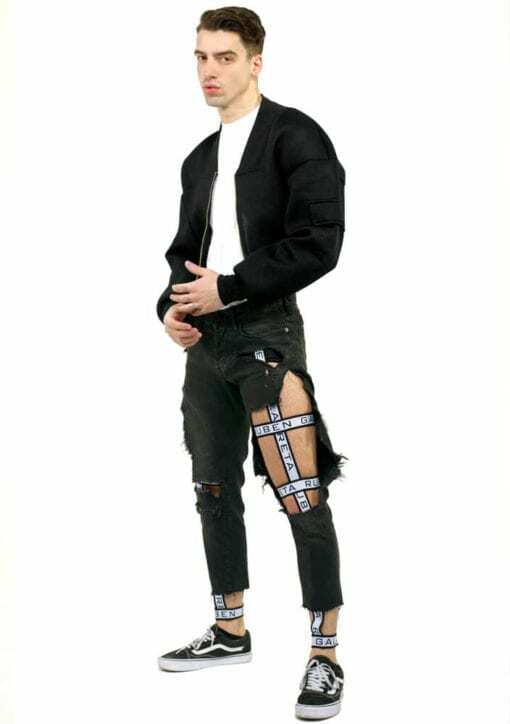 That gave rise to the creation of what came to be called bomber jackets. Bomber jackets are jackets usually gathered tightly at the waist and the cuffs of the hands by elastic bands. Usually, these jackets have a zip running all the way from the neck to the waist on the front. Generally speaking, bomber jackets make the wearer look better and feel more self-confident. 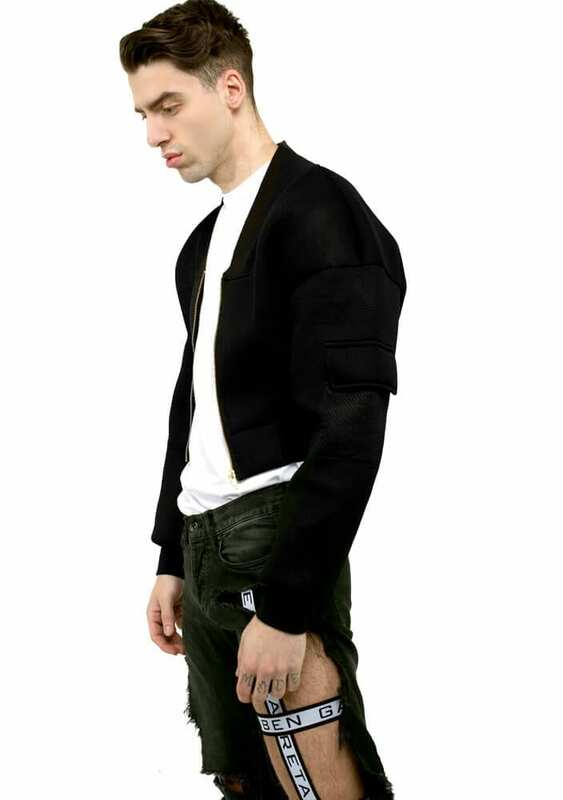 We bring you a smart looking black cropped bomber jacket from the house of Ruben Galarreta. 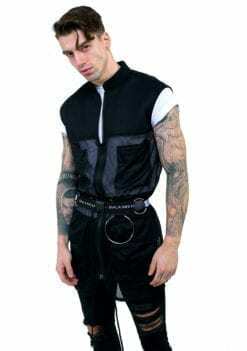 The shorter length, tight fit, and tight waist set this bomber jacket apart from the others you see. It comes in three sizes – small, medium and large. 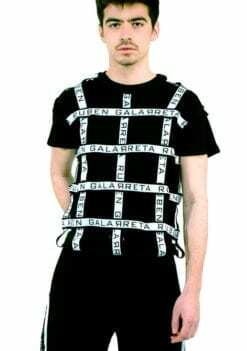 The other unique features are the black colored mesh made of neoprene and the ribs made of cotton. This bomber jacket’s shoulders are oversized and loosely fitted which makes them drop lower. The pocket sleeve has a smartly designed Ruben Galarreta detail that looks pretty nifty against the all black background. The Ruben Galarreta black bomber jacket will make your wardrobe come alive with several possible pairings you can use it for. 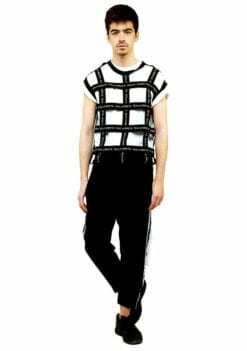 If you want to use it as a casual daily wear, you can pair it with brightly colored or all black tee shirts and track pants. 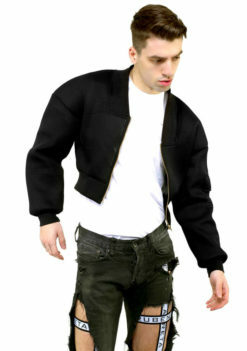 Heavy boots, as well as light sneakers, look great when you have this black bomber jacket pulled on over your clothes. For the night birds, this bomber jacket will be the perfect fit for a dazzling all-black ensemble. 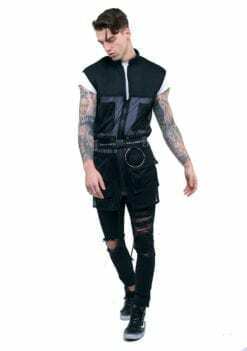 It doesn’t have an overload of zips and chains, and its minimalistic look with a great cut will enhance a muscular upper body, yet hide the flaws in a not so well chiseled body.